1853 Gallery, Salts Mill. Photo by damiandude, CC-BY-NC 2.0. It’s #museumsweek and I’m on holiday in the beautiful north of England, which is chock full of interesting museums. 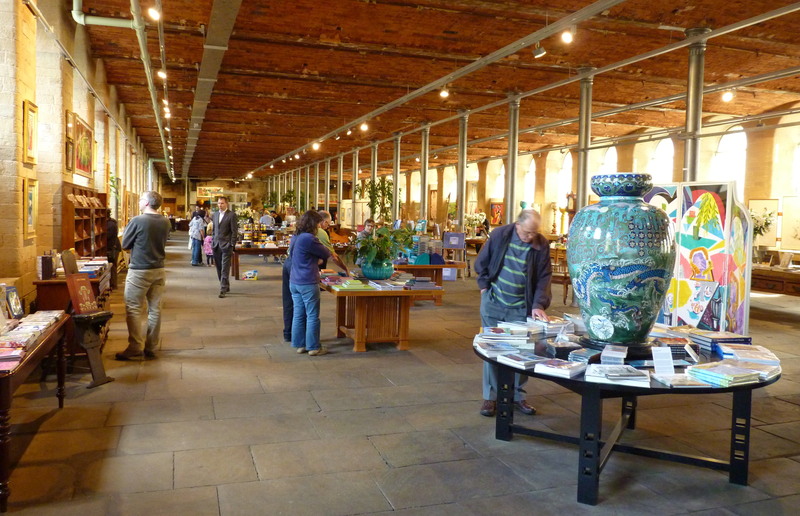 Yesterday I went to Salts Mill, home of the 1853 gallery, which predominantly displays works by David Hockney. Amongst the beautiful, bright paintings and characterful pencil drawings there were no examples of the medium that Hockney has latterly become famous for: the iPad. For Hockney, the ability to draw on the iPad has proved a huge influence on his artistic output. Around 150 iPad drawings were selected for display at A Bigger Exhibition at the de Young Museum, and over 200 for Fleur Fraîches at the Fondation Pierre Bergé. Some were printed on panels up to 12 feet high; others were displayed on digital screens; and some were animated allowing viewers to see the images as they were drawn, from sketch to completion. Biased as my love for Hockney makes me, his continuing employment of new technologies as part of his creative process has undoubtedly helped to legitimise iPad art amongst the public and museum professionals. Fleurs Fraiche advertising. Photo: mac steve, CC BY-NC 2.0. 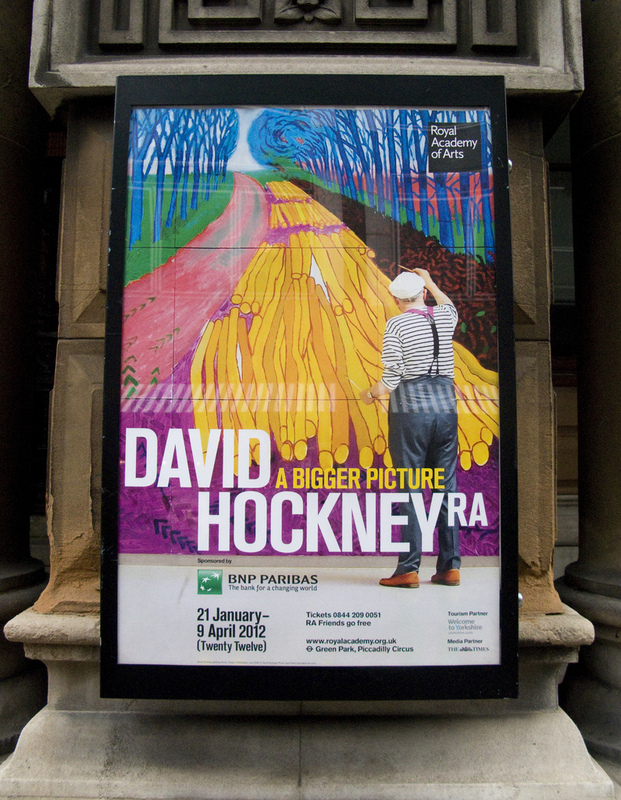 The inclusion and display of Hockney’s digital artworks in his exhibitions raises several questions around conservation of these types of artwork, and their ability to increase participation in art. Conserving digital artworks: the means, medium or message? Advert for A Bigger Exhibition at the Royal Academy. Photo: Martin Beek, CC BY-NC 2.0. As today is #AskTheCurator day as part of #museumsweek on Twitter, I’d like to ask curators about the conservation of digital artworks, and new media in general. What is the most important aspect to conserve: Is it the means of digital transmission – the original file? It could be the medium – the technology. Or alternatively it could be the message – a print of the image. In addition, can an iPad image ever be displayed properly using different technologies, such as a PC? Does the artist need to leave explicit instructions for how to display the images? What happens if a particular technology becomes obsolete? 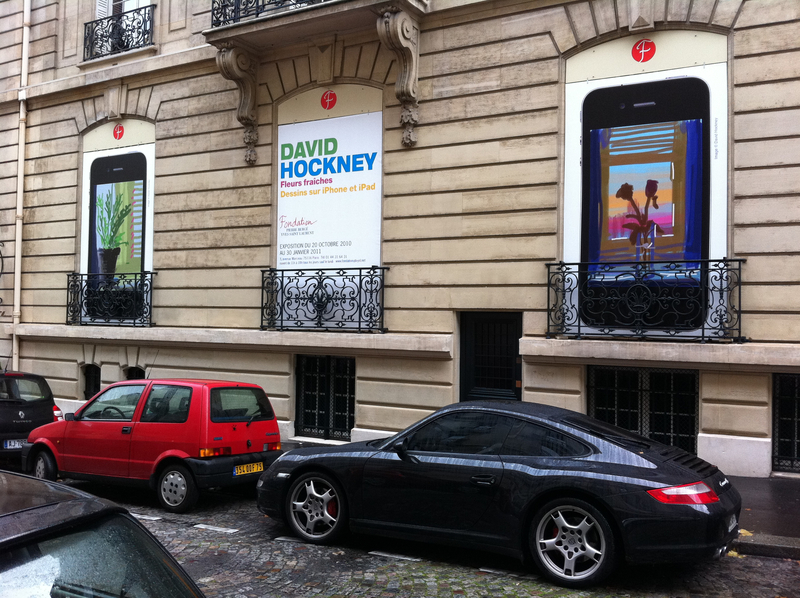 Hockney uses a mixture of display techniques in his exhibitions: printing and framing the images on large panels, displaying works on iPads, showing the process of creating images through animation of the drawing process. Does that mean that only his first print of a particular image counts as the original? It seems that many curators and museums are working through these issues at the moment. With the rapid rate of change in technological innovations, these questions are going to be key for new media curators, and not only in the field of art. Conserving our growing digital heritage is a key issue for museums, as digital material continues to proliferate both on- and offline. “It’s a real privilege to make these works of art through digital tools which mean you don’t have the bother of water, paints, and the chore of clearing things away…You know sometimes I get so carried away, I wipe my fingers at the end thinking that I’ve got paint on them.” Hockney. Does displaying digital artwork make creating art more accessible for visitors, particularly younger visitors? There is the inevitable cost associated with smartphones and tablets, which is a barrier for some people. However, for those visitors with mobile devices, it is easier for them to create art on these devices than by using traditional methods. People can create art anywhere using a mobile device: waiting for the bus, seeing the landscape pass by out of a train window, watching crap late-night TV. There’s no need to carry around messy equipment. Also, as Hockney himself says, the distribution of art is easier: he can send images by email to friends and get feedback straightaway. The instantly shareable nature of this type of artwork could increase the appeal of the creative process for many people. Therefore, does displaying digital art have a greater, longer-term transformative effect on visitors, by making them more likely to create art themselves, than traditional artworks? This blog was written in response to #AskaCurator and my trip to Salts Mill, and I’d love to hear your thoughts and opinions on the subject. The Challenges of Digital Art is an interesting read for more information on the problems facing curators of new media.